There are many brands of psychotherapy that have been developed over the last 100 years. Psychotherapy has been researched a great deal over this time. I do keep up with this and am convinced by the findings that there are no specific treatments which can be shown to be better than any other bona fide treatments. 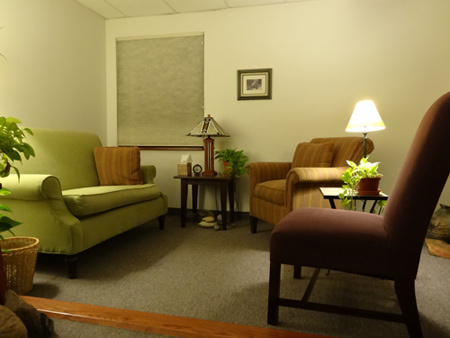 Psychotherapy must be individualized to the person, couple or family that is seeking treatment. What IS important is a good therapeutic alliance between myself (the therapist) and you (the client). This can be called finding a good fit. Also, I make efforts to carefully and systematically pay attention to whether you are improving and moving toward where you are hoping to be. I will ask you, each time we meet, to rate how you have been doing during the previous week. At the end of our meeting, I ask you to rate how the session went for you and how I did. My job, at that point, is to convince you that I do want honest feedback, especially if it is critical of how the meeting went. Below, I tell you some things about how I work. This will help you decide whether you will find me a good fit to work with you. When you, as a parent or guardian, bring your child/adolescent to see me, I usually start the first meeting with you (or both parents/guardians) without the child to discuss your concerns. I also give you an opportunity to share anything you believe is important but are not ready to talk about with the children present. Your child or children would then join us for the rest of the meeting. I do like to meet with everyone living together at the first meeting or early in treatment. This is because I believe that positive changes happen best and are sustained with support from our family or significant others in our lives. This is particularly true of children. After the first meeting, together we come up with an initial plan. This usually includes a mix of individual and family meetings. This also can include meetings with just some family members, depending on our focus. We determine this together, depending on the needs of the situation. Whenever I am working with a child or adolescent, I expect their parents or guardians to be actively involved. I am also happy to discuss my training and what particular brands of family therapy that I draw upon in my work, if you have some specific preferences or interests. I am also available to consult with other professionals working with your child including teachers, school officials, guidance counselors, family doctors or psychiatrists. This can include attending school meetings if that is seen as helpful. If you are an adult seeking treatment, we start with a phone call and a conversation about what you are seeking. Based on our conversation, our work together could then include my working with you individually, with a partner or significant other or with your family. I am versed in a variety of psychotherapeutic interventions. If you believe that a certain kind that you have heard about would be good for you, please talk about it with me. I will let you know if I am able to deliver that to you. If I am not, I may know someone who is able to do so. I do formulate a diagnostic impression, using DSM-5, when working with people who utilize insurance for payment. I am glad to discuss this with you and be clear about how this works. Diagnosis has not been helpful in predicting outcomes. Researchers also have not had any notable success in matching treatments/interventions with specific diagnoses to insure better outcomes. I have worked with people who have been given a wide variety of diagnoses, from relatively frequent ones such as depression, anxiety, bipolar disorder to ones such as schizophrenia, borderline personality disorder and others. I am willing to discuss any concerns you have regarding a past diagnosis or my own impressions. I have given presentations on a variety of topics dealing with mental health, psychotherapy, family therapy, outcome research, specific diagnoses and more. I am willing to do this free of charge for groups wanting to inform their members or the general public about these issues. I am also available to provide training to mental health professionals on a variety of topics. I spent 14 years supervising psychotherapists while working at TCV MH/MR Inc. Many of these people have gone on to become licensed psychotherapists in their own right. In addition, I provided live supervision and training to MSW students, Counseling students and Doctoral Interns while working in the Family Therapy Training Center at UPMC. My Professional Counseling license and years of experience allow me to provide 100 percent of the licensed supervision hours (3000 hours of supervised work post masters) for those seeking to become a Licensed Professional Counselor in Pennsylvania. I am able to provide half of the needed supervision hours for those seeking to be licensed as a Marriage and Family Therapist (LMFT) or a Licensed Clinical Social Worker (LCSW). Please contact me if you would like to talk about supervision.